A Bar/Bat Mitzvah is a rite of passage, a Jewish milestone… and is certainly one of the most memorable and significant events in the life of a young adult, as well as for their family. DJ Connection is ready to help you customize this very special day. Because our professionally trained staff has a real-life knowledge of Judaism and all of it’s customs, you can rest assured knowing that you’re leaving your child’s once-in-a-lifetime celebration in the hands of professionals rather than hobbyists or weekend warriors. We’ll work with you to develop a schedule of events for the day, including all of the formalities (Grand Entrance, Ha’Motzie, Kiddush and Candle Lighting Ceremony) as well as games and dancing, and to ensure that everyone in attendance, regardless of age, is actively engaged in the event. We lead traditional Jewish dances like the Hora (chair dance), as well as group dances like Conga, Cupid Shuffle, Cha-Cha Slide & the Macarena, to name a few. Certainly we can play some of your child’s favorite Mitzvah games like Coke & Pepsi, Stuff-It (T-Shirt Balloon Stuff), Scavenger Hunt Musical Chairs, Hula Hoop Pass, and our extremely popular trivia game, known as Game Show Mania. Hey Mr. DJ, What about the Music? 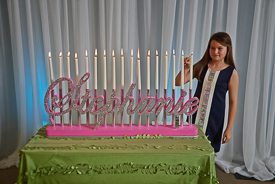 We understand that this can be a tricky subject for Bar/Bat Mitzvah celebrations because of the varying age groups in attendance. Let’s be real, most young teenagers these days have VERY different tastes in music than what their parents grew up with. We certainly recognize this difference and have all of today’s hottest hip-hop and dance music that will appeal to the teens… as well as a huge selection of oldies, standards, recurrent dance, and traditional Jewish tunes, that the older guests will enjoy. We use only clean versions of songs (we’re parents too) and our libraries are updated on a weekly basis through our music subscription service. All music is played at an appropriate volume level, and requests are certainly encouraged. Of course during the planning stages, we’ll discuss all of this in detail with you to find the right mix of music, ensuring everybody feels included in the Celebration. 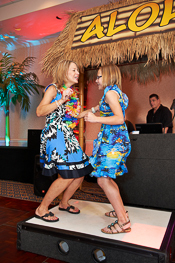 We are committed to success of your son or daughter’s once-in-a-lifetime celebration and making your Bar/Bat Mitzvah Celebration a cherished and memorable affair. Mazel Tov !! Call us to schedule your no-obligation consultation !